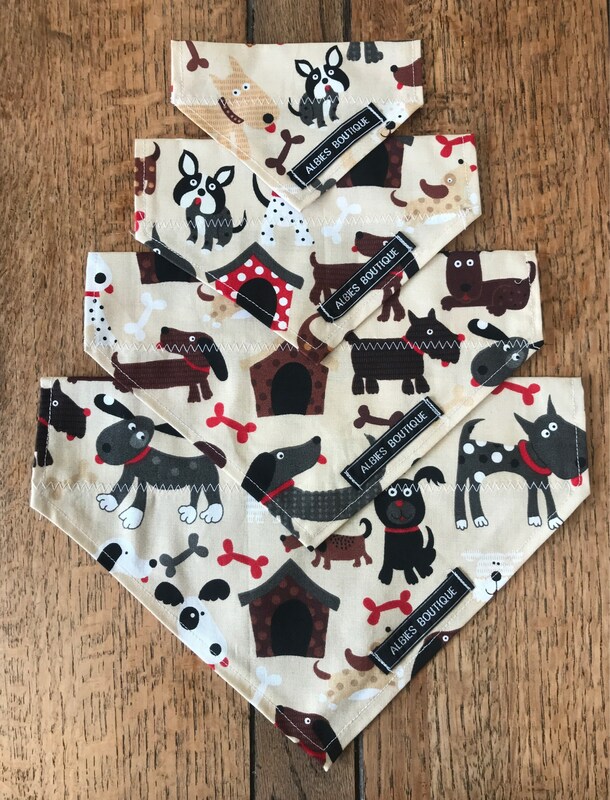 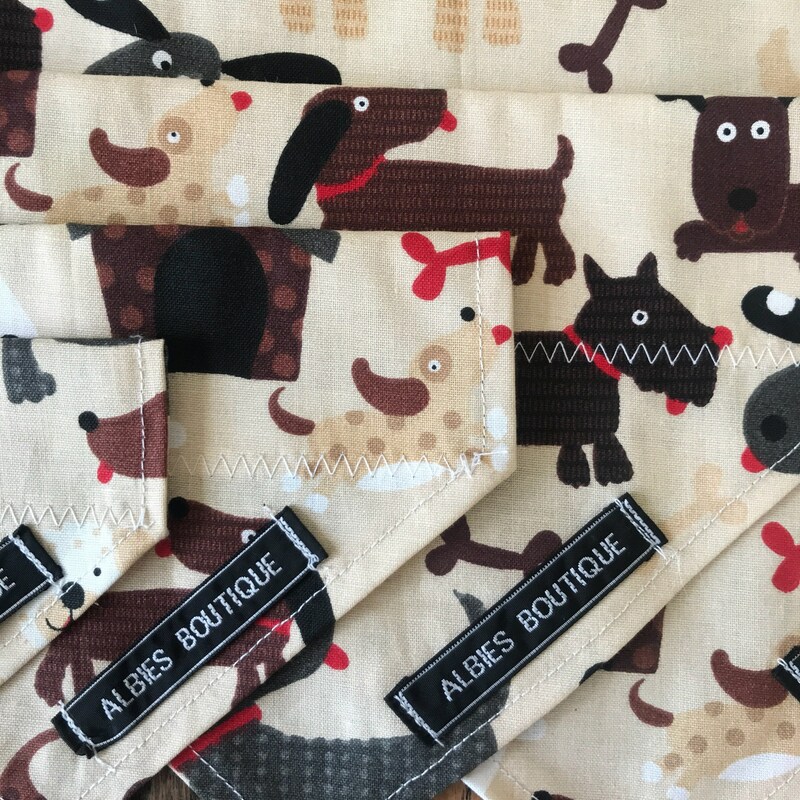 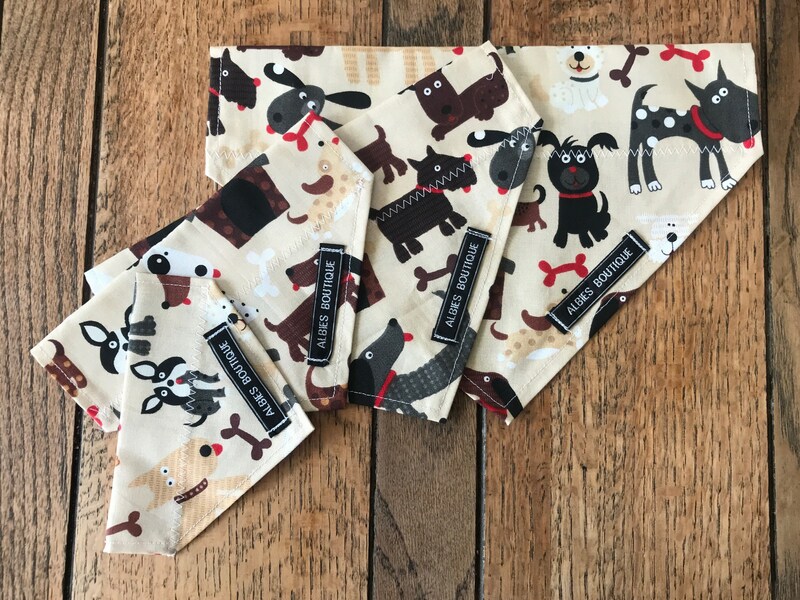 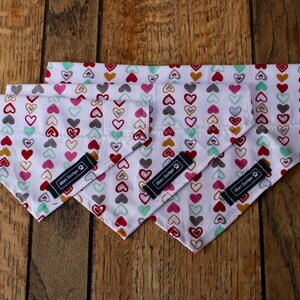 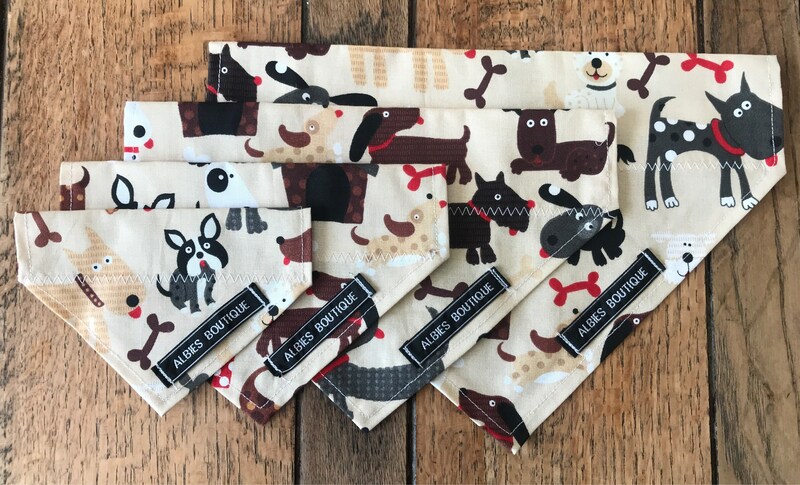 Handmade slip over the collar dog bandana made in a fun and funky 100% cotton ‘In the Dog House’ design fabric. 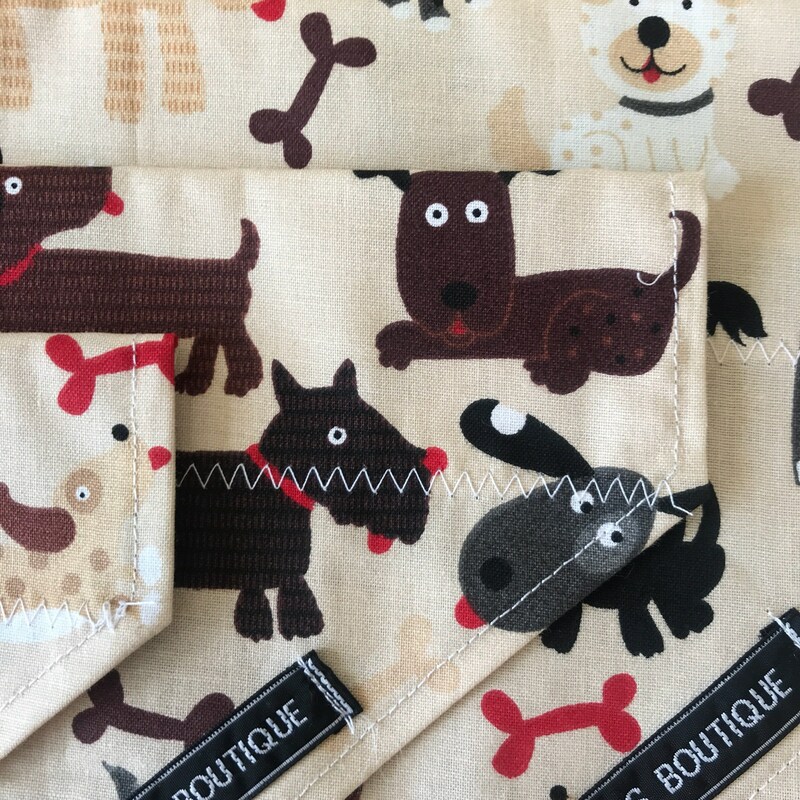 Colours, black, grey, brown, white and red accents on a beige background. 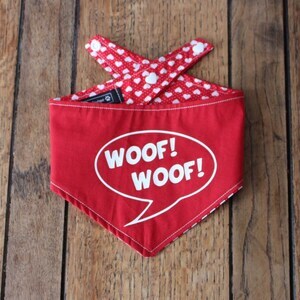 Will suit any colour or breed of dog. 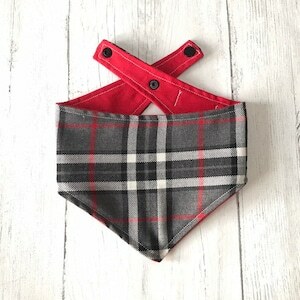 Matching bow ties also available. 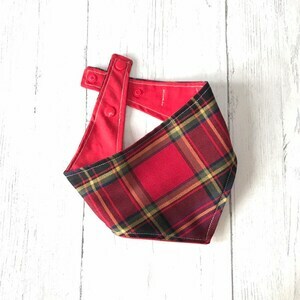 As all items are handmade patterns and colours may vary slightly from the images shown.